Cecil King, RI RBA ROI RSMA (1881-1942). Watercolour signed (LR). 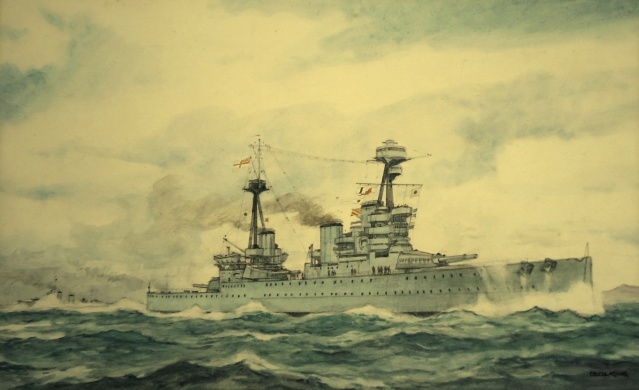 Undated but written, verso, in the artist's hand in pencil is "Pentland Firth - 1918; Drawn by Cecil King - 1923". Cecil King, TD, RI, ROI, RBA was born in 1881 and died in December 1942 and was largely self taught as an artist although he did briefly study painting at London's Westminster School of Art and in Paris. 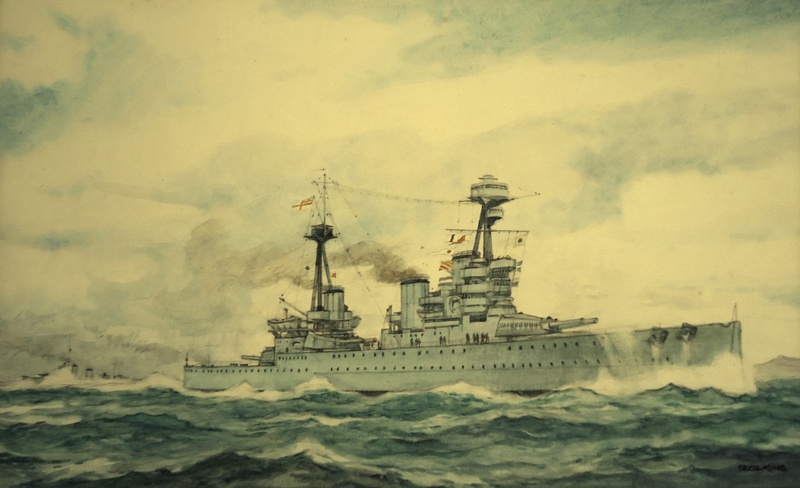 A visit to Holland in 1914 revived in him an ambition to become a painter of the sea and drawings of his began to be accepted by the Sphere and Illustrated London News. His sea paintings are to be found in the Imperial War Museum, in the Paris Musee de Marine, in the Royal Thames Yacht Club, Knightsbridge and in many private collections although he was not very prolific. He was vice presidemt of the Society of Marine Artists and was Marine Painter to the Royal Thames Yacht Club in Knightsbridge. The author of several books about the Royal Navy, he was considered to have “an extensive knowledge of naval lore” (Obituary, The Times, 10 December 1942). He had served in the trenches of World War 1 but the sea was, we are told, his first and abiding love.